Happy HumpDay!! 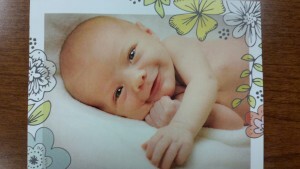 About six weeks ago, we had a new baby born into the Grace family. Miss Molly! She is adorable and we all love to hold her when she visits. Then a couple weeks ago at our company potluck, we had two more employees announce that they are expecting!! Drew and his wife Ellie are expecting their first in December and Shannon and her husband are expecting their first in January. Children are a wonderful blessing. As new parents know, everything about everything changes dramatically, especially your lack of sleep. The number one thing usually heard from parents after praises of joy for the most beautiful baby in the whole world, and admiring and taking pictures of every tiny finger and toe and lips and cheeks and eyelashes, is mention of lack of sleep. 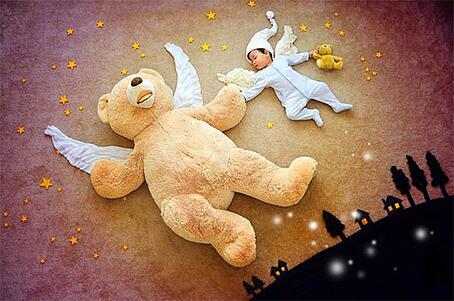 I don't know how this creative mother finds the time to turn her sleeping baby into these adorable works of art! Most of us couldn't leave our newborns long enough to take a shower. These are some great pictures. Enjoy! Take a look at more of these creative pics! Thank you for all the prayers and positive thoughts for Bernie! We hope that you all have a great week!